Rotor shafts in stationary electric motors are usually solid shafts with a smaller diameter. 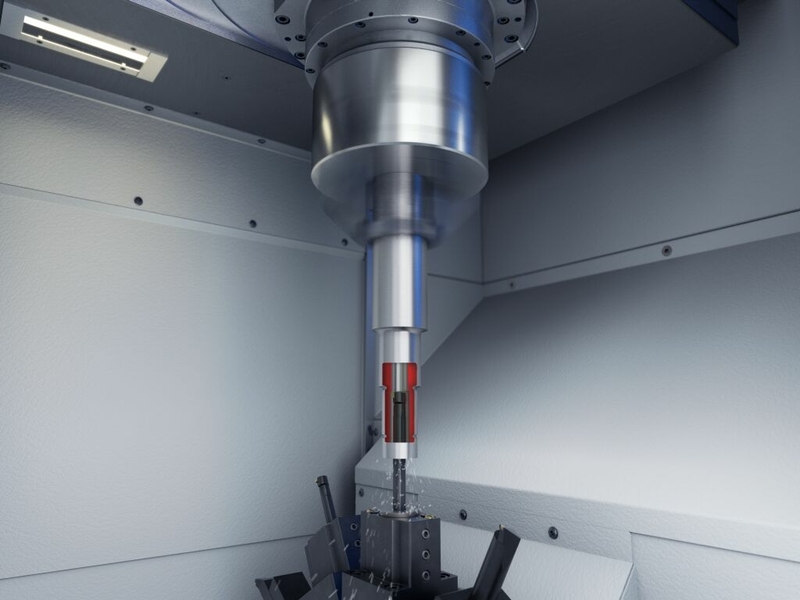 Alone, these rotor shafts are not heavy, however the small diameter of the shaft requires that a large rotor plate package be used - making the overall rotor very heavy. For stationary motors, this is not a problem. However, in motors for electric vehicles, every little bit of extra weight reduces the vehicle’s range. 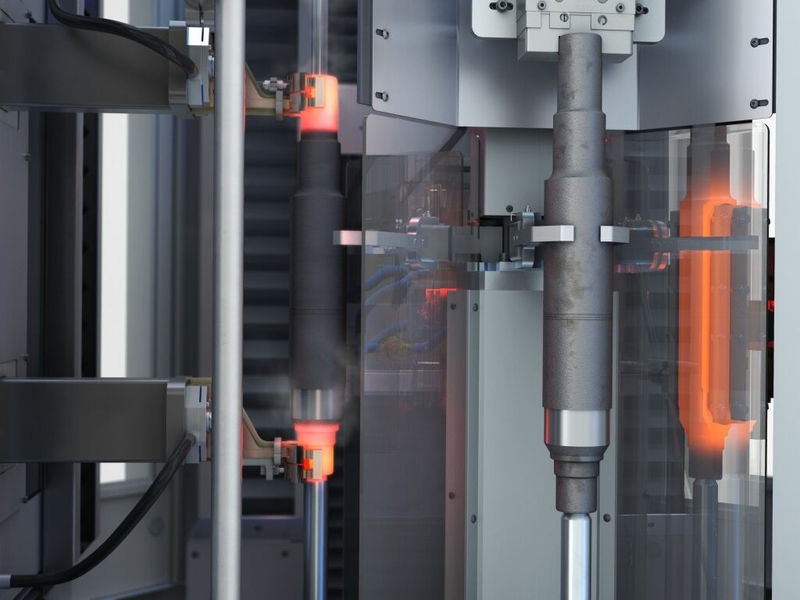 With this production line, EMAG demonstrates how weight-optimized rotor shafts – and weight-optimized electric motors in general – can be mass produced for state-of-the-art e-mobility concepts. Some years ago, the automotive industry began to forgo the production of certain components as a single part, e.g. by forging, in favor of using assemblies ,methods that reduce weight. A relatively well-known example is the camshaft, which was traditionally made from a forged raw part. 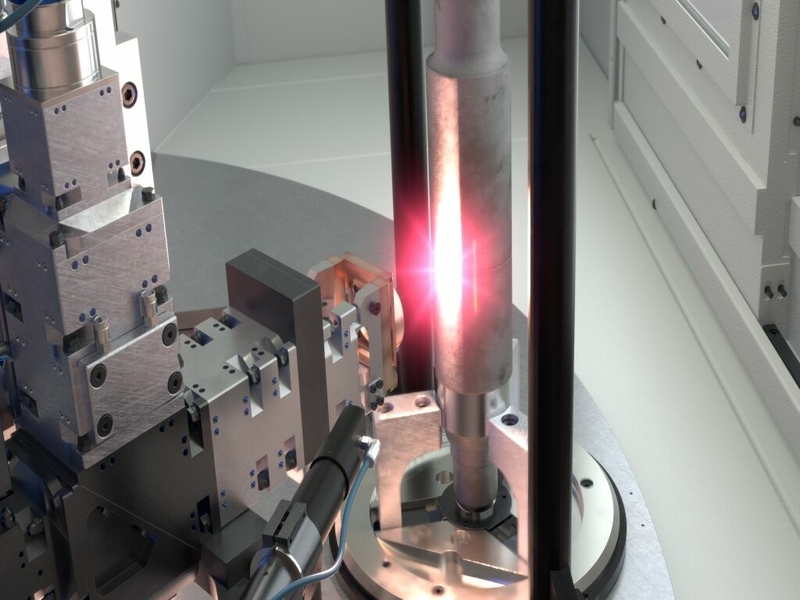 Today, the individual cams are joined to a central pipe by heat-shrinking (see here). In the advanced version, the camshafts are replaced with individual cam parts. However, the basic idea remains the same: reduce to just the essentials. The same concept is applied to the assembly of rotor shafts. How can the plate package of a rotor be minimized without losing the weight advantage to an increased diameter of the rotor shaft? The answer is a hollow, assembled rotor shaft. In addition to a significant weight reduction, this design offers several other benefits. The production process for the rotor shaft can be broken down into several short partial processes, which lead to a reduction in the overall cycle time and increases the potential for large output quantities. Furthermore, the shaft geometry can be matched perfectly to motor power and the configuration of the power train components – another advantage. 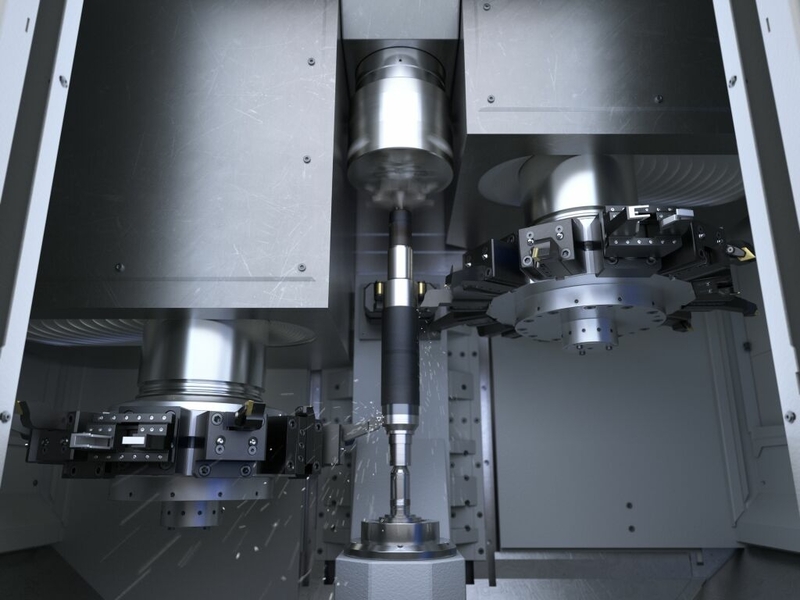 EMAG is already offering the perfectcomplete solution for the production of such rotor shafts. It includes VL and VT-series turning centers, ELC laser welding machines, MIND-series induction hardening machines, as well as VTC and DS-series grinding machines. As the video above shows, EMAG breaks the production of a rotor shaft down into 11 operations that are all performedon EMAG machines (apart from the cleaning process). In OP 10 and OP 20, the two sides (inside and outside) of the welded raw parts are machined. This is followed by a cleaning process and the joining of the two parts to form a rotor shaft by laser welding in OP 40. The hardening of the bearing seats in OP 50 is also completed as part of the line cycle, taking only seconds on a MIND hardening machine. This is followed by finishing the outside of the electric motor shaft in OP 60 on VT machines. 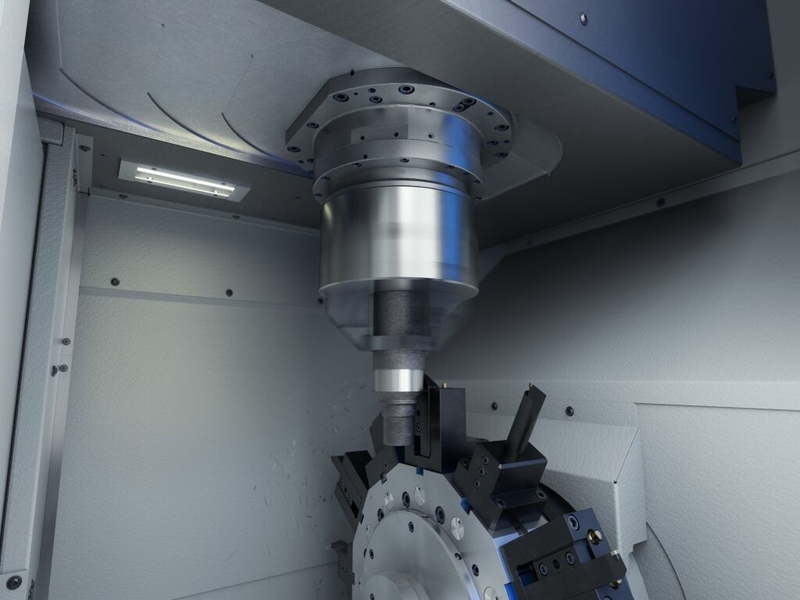 The machining operation of four-axes is not only extremely fast, but also powerful enough for hard machining. 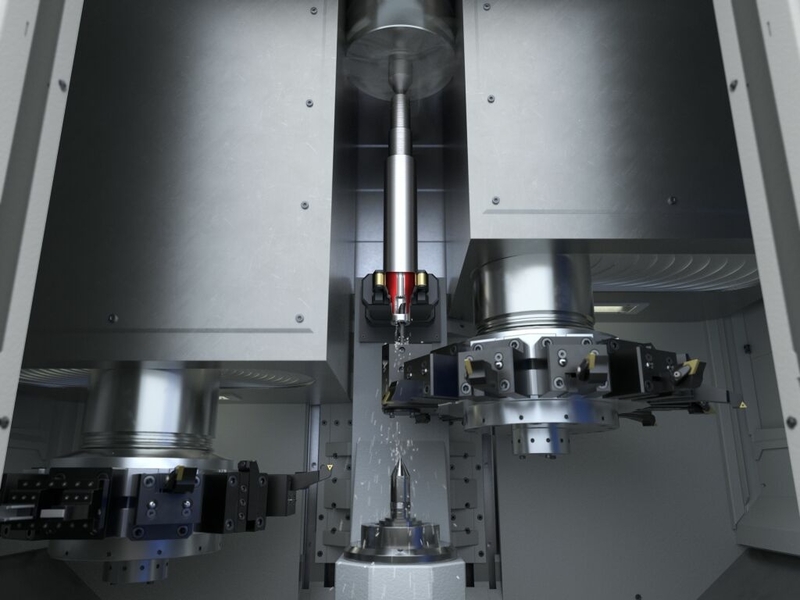 Similar to the final outside machining of the shaft, the final interior geometry is created on VL-series turning centers in OP 70. OP 80 and OP 90 were designed with flexible configuration options of the rotor shaft line in mind. Gearing and final contours can be created in this step if necessary. 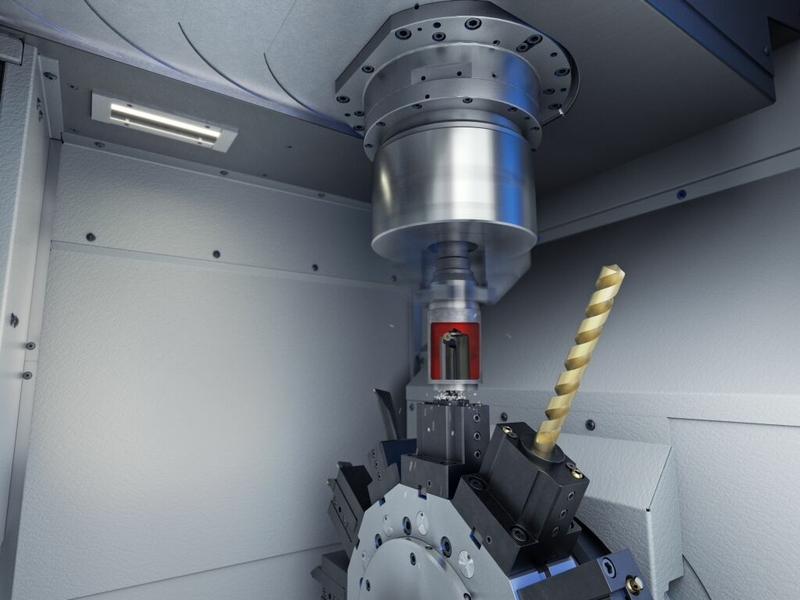 In OP 100, a perfect surface finish is created on the VTC-series vertical shaft grinding machine. After this process and the subsequent cleaning, the shaft is ready for joining with the plate package. Technology, automation, and process development all come from a single source. In the end, you will benefit from a complete solution, with guaranteed short lead times and a timely start to production. We optimize the interaction between manufacturing systems, peripheral machines, and automation. 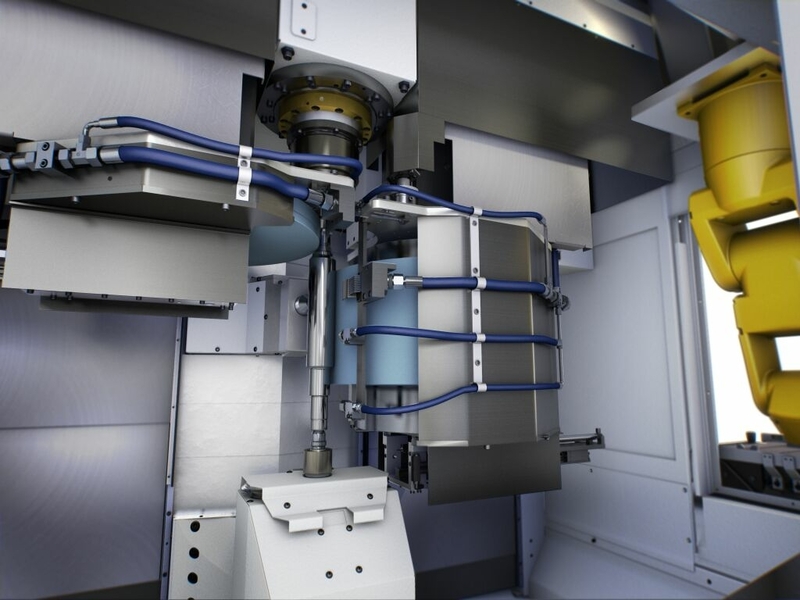 The overall system developed by EMAG benefits from lean automation systems, optimized interfaces, and short routes. This ensures a timely start-up and a long-term cost-effective total process. The machines use many common, identical parts. The production system also stands out for its short re-tooling and maintenance times. A contact at EMAG is in charge of project execution and supports your planning with his/her experience and system expertise.